One of the rights of passage of Real Housewives is the side hustle. Over 100 women have attempted to parlay their reality TV fame into side businesses. From clothing lines to stores that seem to close up shop in the middle of the night with a U-Haul, the enterprising Housewives are always angling for new ventures. And one of the most popular side gigs is “writing” a book. Find a good ghostwriter, and you are set! We have seen Housewife books on everything from etiquette and cooking to fluffy autobiographies. Fortunately, House Husbands who aspire to be Housewives can also cash in on the book train. 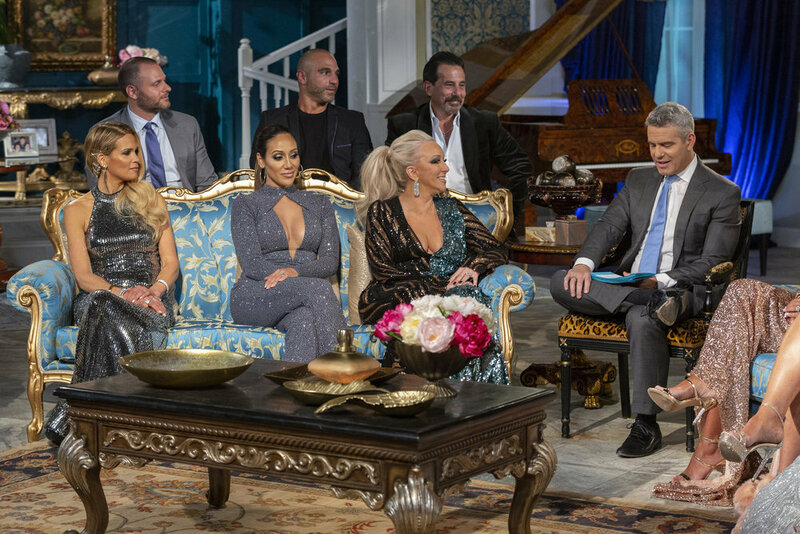 The Real Housewives of New Jersey’s Joe Gorga has now cast his literary lot as an expert on business, love, fame and life! Danielle Staub’s Wedding Is Off; Is Her Relationship Done? Duchess Danielle? The internet broke when news broke that Danielle Staub was getting married again. Her marriage to Marty Caffrey JUST ended. What in the actual “prostitution whore” is happening here? It was shocking to see Danielle desperately trying to secure a full-time spot sporting that enormous engagement ring. Danielle deserves love and light, but let’s pump those Jersey breaks for a moment. Talk about a whirlwind romance! However, things are VERY confusing about the status of the couple’s relationship. Is a wedding actually happening here? Did the pair split? Danielle seems to be a walking breaking news alert. Danielle and Oliver Maier’s status is about as clear as why Nene Leakes wouldn’t let anyone in her closet. Nobody really knows, but it’s weird. Maybe Olivier hates water and wants to avoid the same fate as Danielle’s last husband. Margaret Josephs has her pool hands ready to go for the next guy. Thankfully, Danielle Staub is giving us the most current updates on her engagement status. Real Housewives of New Jersey’s Danielle Staub made the internet buzz with news of her new relationship with businessman Oliver Maier. Soon after their cry for attention romance was made public the rumors started popping up about Oliver’s relationship status at the time he started seeing Danielle. Did he cheat on a girlfriend with Danielle? Well, apparently his mouth is good for something other than smooching because Olivier has broken his silence on his relationship with the RHONJ succubus. 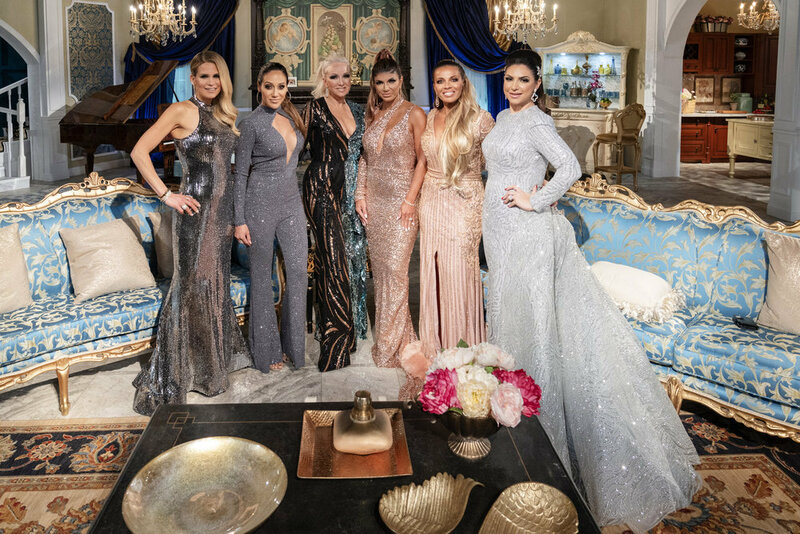 No one will ever forget Teresa Giudice yelling about Danielle Staub being engaged nineteen times during the Real Housewives of New Jersey Season 1 finale. During Season 8, she got engaged to Marty Caffrey. Unfortunately, we all had to witness her bridezilla nonsense and the wedding in Season 9. Danielle and Marty announced their split a mere two months before getting married, which means we had to watch so much footage about a marriage that was already over. They got divorced just ONE WEEK AGO, but now Danielle is onto the next one: Olivier Maier. ENGAGEMENT NUMBER 21. Wow. 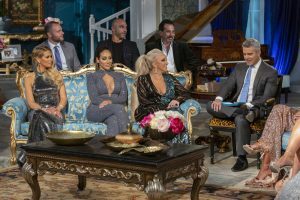 Even though Danielle Staub wasn’t a full-time cast member (again), the first half of Real Housewives of New Jersey Season 9 centered around the preparation for her wedding with Marty Caffrey. As if the bridezilla antics weren’t cringe-worthy enough to watch, the whole storyline wreaked of awkwardness knowing that Danielle and Marty called it quits just two months into the marriage. It was also tough to see Marty going to bat on Danielle’s behalf knowing that just a few months later their split would get very nasty. Marty didn’t go down (literally) without a fight. He ended up in Jennifer Aydin’s pool after Margaret Josephs pushed him in. There has been a lot of chatter about the recently divorced pair. Now, Marty is opening up to Reality Tea to share his side of the story. In an exclusive interview, he discussed everything from the wedding to the pool push, and even his idea for a spin-off show with Danielle and Teresa Giudice.